Bergen Air Conditioning is a licensed and insured AC and HVAC company. Moreover, we are a NATE certified company and employ highly skilled and NATE certified technicians to ensure our customers get only the best in the industry. Having been in the business for 30 years, we give our clients assurance of best quality service and sound advice for all your air conditioning and HVAC needs. This is your one stop shop for all your air conditioning and HVAC needs. We let you take the back seat and our experts can handle all your works from beginning to end and save you the trouble of going through tonnes of data sheets trying to figure out the best air conditioner for your space. Bergen Air Conditioning Company service and repairs. We do new installations and this ensures that air conditioner installations are solved through advice given by our technical team. We also replace existing units which may be faulty beyond repair and offer repair service for repairable units. Our air conditioning and HVAC repair service extend to the county of Bergen in North New Jersey. Our technicians are on call 24/7 to ensure customer complaints and issues are sorted out within the shortest time possible. We offer solutions to fit the various needs of our customers. For those looking for residential ac units installations, we can supply and install units suitable for homes, apartments, condominiums, etc. We also have commercial air conditioners suitable for big commercial establishments like hospitals, hotels, departmental stores, supermarkets as well as offices. Our technical team visits your home or place of business and after survey, map out the best solution for you. This ensures that you have the right units for your needs. The company is insured and thus in case of anything, all risks are covered. 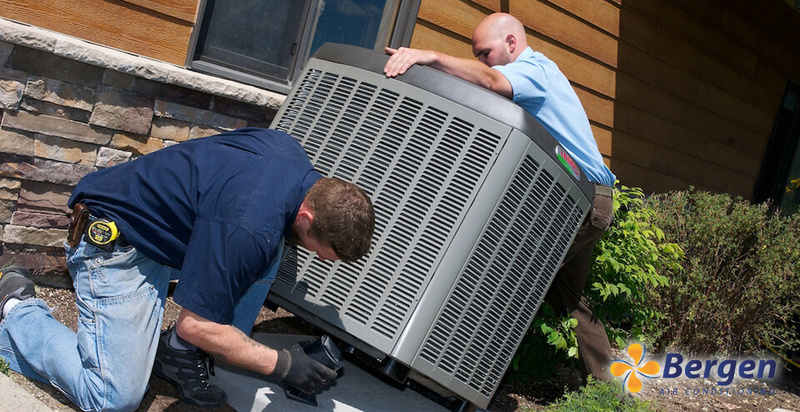 Again, after the installation is done, we don’t just leave, we provide the necessary maintenance and tune ups to ensure the systems are operating at optimal levels.